Epik High Says Goodbye with "Shoebox"
Epik High has given us a lot to listen to during their promotion cycle for Shoebox. Even if you haven’t listened to the album, the music videos that accompany it give a taste of the contrasting sounds that compose the album as a whole. 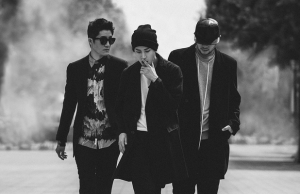 From the uptempo and sassy hit “Born Hater,” to the slower and soulful trio of “Spoiler,” “Happen Ending,” and “Eyes, Nose, Lips,” Epik High has gifted us with music that offers a welcome break from typical K-pop fare. To mark the end of the Shoebox era, they have released one last video. With “Shoebox,” they endeavor not to attract more attention at the tail end of their promotions, but to create a connection with fans and express their thankfulness for the support they’ve received. “Shoebox” is the last song on the album, making it a fitting song to end with. The lyrics describe anticipation for a long-awaited homecoming, though their delivery by featuring artist MYK lends a bittersweet feeling to the track that is enhanced by the tranquil music composed by DJ Tukutz. Tablo‘s rap sounds somewhat sharp against the muted track, but by the two and a half minute mark, the chords become brighter, and Mithra Jin ends the song on a hopeful note with a soft, almost whispered rap. Despite the lyrics about coming home, the transition in tone from melancholy to serene makes it an ideal way to say goodbye to fans. The sadness of losing the opportunity to hear and see your favorite artist perform (even if only for a short time) is captured in the instrumental and the somber lyrical delivery at the beginning of the track. The lyrics themselves convey a more cheerful emotion, and it’s hard not to hope that the members will get to experience the sweet reunion detailed in the words. Eventually, these conflicting feelings are resolved. When the end of the song rolls around, the idea that the era of Shoebox is coming to a close is not one shrouded in disappointment, but one that inspires optimism. Thanks to the brighter tone, saying goodbye to Epik High is easier; eventually, they will return and grace us with more great music. The video itself is meant as thank-you present for fans. 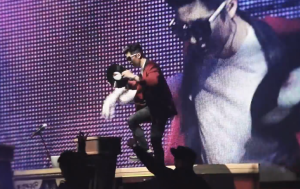 Filled with footage of Epik High during their Shoebox concert tour, it’s quite different from the attention-grabbing “Born Hater” or the story driven “Spoiler + Happen Ending.” It might seem like a boring idea, and those who are neutral toward the group might not find the backstage footage compelling enough to sit through the video. Those reactions are fair, though it is also entirely possible to really enjoy this MV. Personally, I find tour videos to be exciting regardless of the band. There’s something extremely satisfying about seeing the energy of the performers, the excitement of the fans, and the connection formed between artist and audience during a concert. The editing is great, and the timing of the footage with the song ensures that the visuals and audio complement each other quite nicely. This is most noticeable when the chord shift occurs; watching the guys take their bows as the music becomes more hopeful evokes an emotion that those who have been to a live performance will be able to relate to. You feel the slight sadness of a concert’s end, but also the more powerful happiness of having been able to experience the concert in the first place. On a larger scale, those feelings could apply to Epik High’s farewell. Yes, we will have to wait to see them again, but our impatience is outweighed by the thankfulness for having the music of Shoebox in our lives. In the end, “Shoebox” will have most meaning for fans. The song, while beautiful, does not instantly grab attention, and the video does not have the wide appeal of the group’s other releases from this album. Your enjoyment of this MV will depend on whether you want to watch Tablo dance while dressed like G-Dragon or see Mithra spray water on the audience. Not everyone wants to see that, which is fine. The goal of the video is to thank existing fans, not to attract new ones. With that in mind, it’s easy to call “Shoebox” a successful and sweet goodbye gift for fans.